OKLAHOMA CITY (AP) – Hundreds of federal aviation workers in Oklahoma are part of a union that’s sued the U.S. government over the continuing partial shutdown and employees on the job but not getting paid. The Oklahoman reported Saturday that the lawsuit filed by the National Air Traffic Controllers Association says some members are working, but not getting paid, in violation of due process. 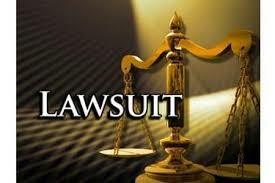 The lawsuit was filed Friday in federal court in Washington, D.C. The newspaper reports at the Mike Monroney Aeronautical Center, in southwest Oklahoma City, 1,146 federal employees are furloughed and 593 are working without pay, along with federal contractors and support staff.